So slowly but surely you can see that summer is drawing closer. I was so excited when I had received this product at a product launch I attended at the One & Only Hotel as I’m a huge fanatic when it comes to skincare and protecting you skin. 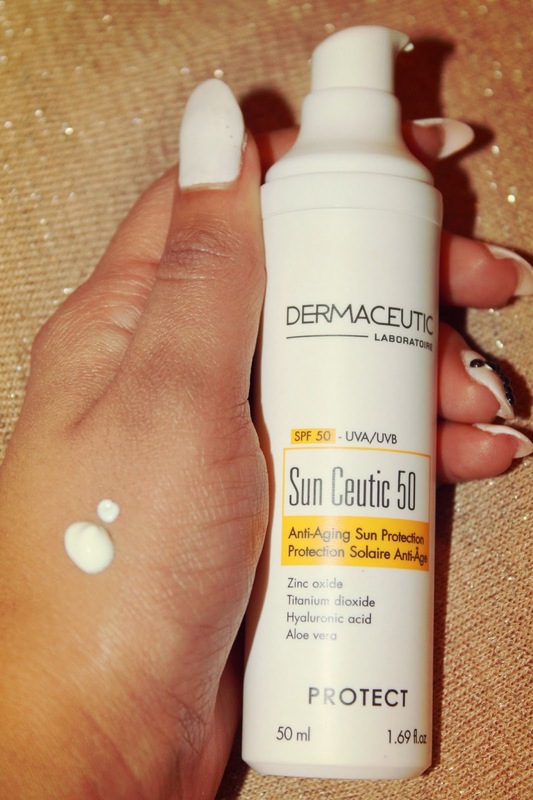 We had received this Dermaceutic Sun Ceutic product with an SPF 50 which made me very excited. This product has a very high sun protection (SPF 50) preventing the formation of dark spots while initiating facial rejuvenation and thus combating premature ageing of the skin. 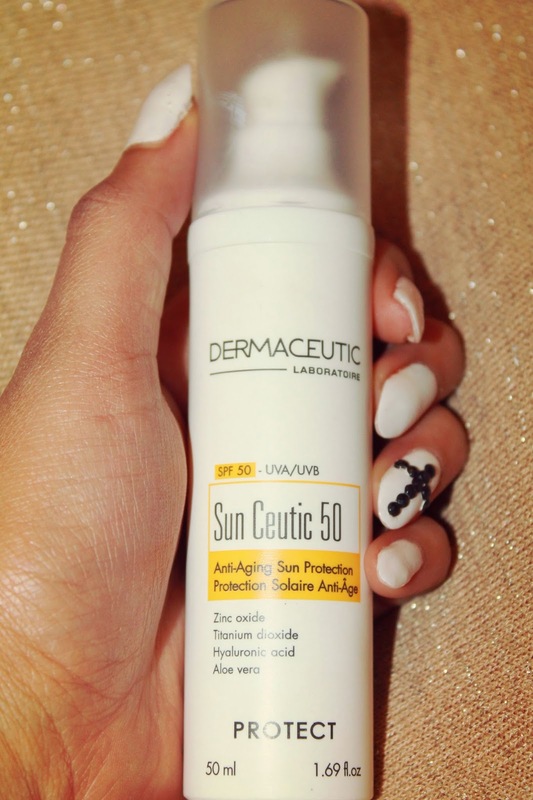 Dermaceutic Sun Ceutic is more than just a sunscreen: it combines the benefits of the powerful stem cell stimulator phycosaccharide AIP, hyaluronic acid and aloe vera. Its microdispersed mineral filters guarantee perfect transparency. It contains both physical and chemical UVA and UVB protecting ingredients and powerful anti-ageing agents. Sun Ceutic creates a strong protective barrier, provides hydration and is easy to use. Free of Oxybenzone, Octocrylene, Paraben or Fragrance.